Move-in Day at St Andrews is a month from tomorrow, now would be the time to get excited (that is if I hadn’t already been ecstatic for the past six months). Last week, I got my housing assignment and was delighted to be placed in my top choice. I will be living in a “self-catered” house with five other students, sharing two bathrooms and a kitchen. The housing unit also happens to be right on the seashore. British universities, unlike of their American counterparts, have two types of housing: catered and self-catered. Catered residence halls provide residents with meals in a cafeteria which, at St Andrews at least, is situated within the hall itself. Self-catered residences, on the other hand, are university housing options that do not include a cafeteria meal plan but rather provide residents with kitchen facilities. As you may expect, self-catered housing is much less expensive because it doesn’t include the price of food, so it is a reasonable option for students who would prefer to cook for themselves or are just eager to avoid cafeteria food. Thus, this year I will be doing my own cooking, challenge accepted. Check back later for my meal-planning adventures! St Andrews is home to some of the most beautiful residence halls you will find anywhere. My housing, however, is not one of the beautiful ones; instead, it is more like the typical 1970’s blockish pile of cement exteriors and plain white rooms. Since no one wants to spend months on end in a plain white room, dorm room decoration is essential for the maintenance of some degree of sanity. Decorating your room is no great trouble, but is does become complicated when you have to cram all of your possessions into a suitcase. I have been brainstorming a few ideas for light-weight, easily packed decorations to take with me, and here are a few I have found! Clothes line: Pick up some mini clothes pins and wire from the craft store to create a cute, simple row of photos. Re-purpose: Who needs frames? 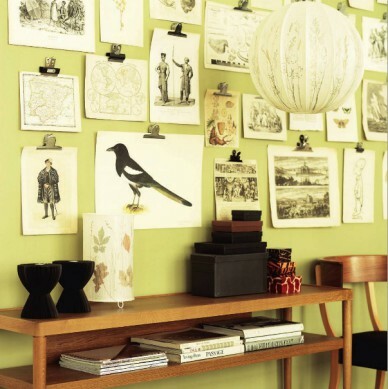 Hang your photos with binder clips, fridge magnet clips, trouser hangers and clipboards. Hook these onto a nail push pin, or adhesive hook. Be a bit of a neat freak: Tape up your photos with precision for a sharp, clean wall of memories! Or be a free-spirit: Throw order to the wind and tape your photos on the wall anyway you like. Tape it: Use washi tape to give your walls a modern, geometric look. Flower Walls: This is my favorite thing on the whole list. 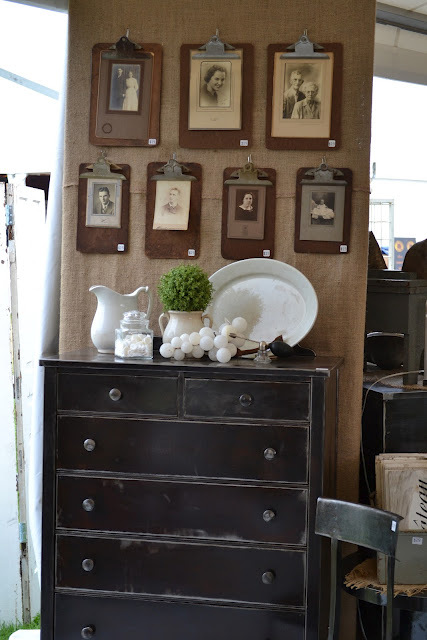 The top image shows hanging dried flowers (this is similar to how I displayed my dried flowers at home). The technique in the middle uses fresh, dried, or even silk flowers to add color and freshness to wall space. I will probably do something like they did in the bottom image, but I plan to try it with pressed flowers covered in shellac. Canopy Bed: I think I may have blogged about this before because I used the same idea last year, but it is worth sharing and doing again! 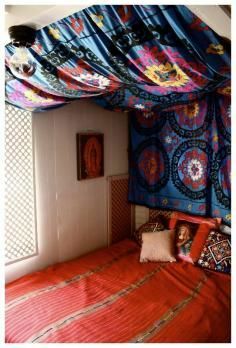 Find some pretty fabric and use adhesive hooks or curtain rods to suspend it (make sure they have easy release adhesive strips or they may get stuck to your ceiling, not that I had any problems prying the hooks from my ceiling….). Cute plants: They’re adorable, just look at them, plants with kitten faces! Brighten up your dim room with some greenery by putting plants in charming mugs or pots. 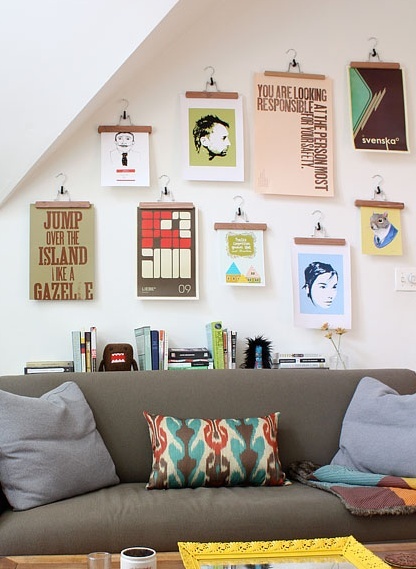 There are endless ways to make your dorm a bit more homey, just make it your own! Your creativity is wonderful. The food ideas are great, and I love peanut butter and banana sandwiches too.